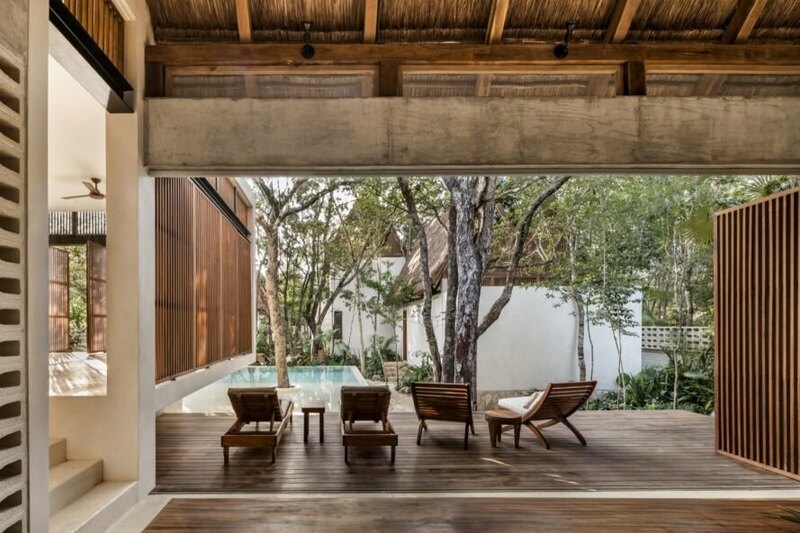 Mexican architectural firm Jaquestudio recently completed a new boutique hotel nestled in a leafy paradise within Tulum, Mexico. 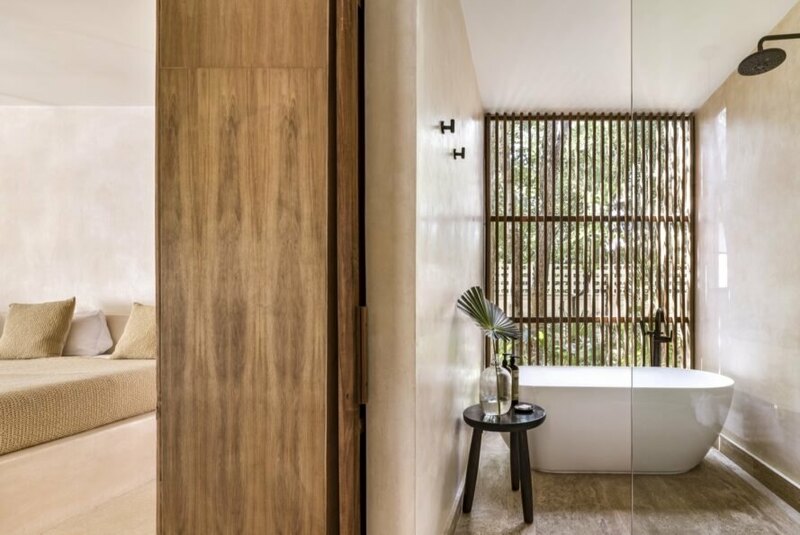 Carefully sited to preserve nearly three-quarters of the existing jungle vegetation, the Jungle Keva is an environmentally friendly retreat that minimizes site impact and the use of plastics. Moreover, the hotel is built of locally sourced, natural materials that tie the building to the landscape. 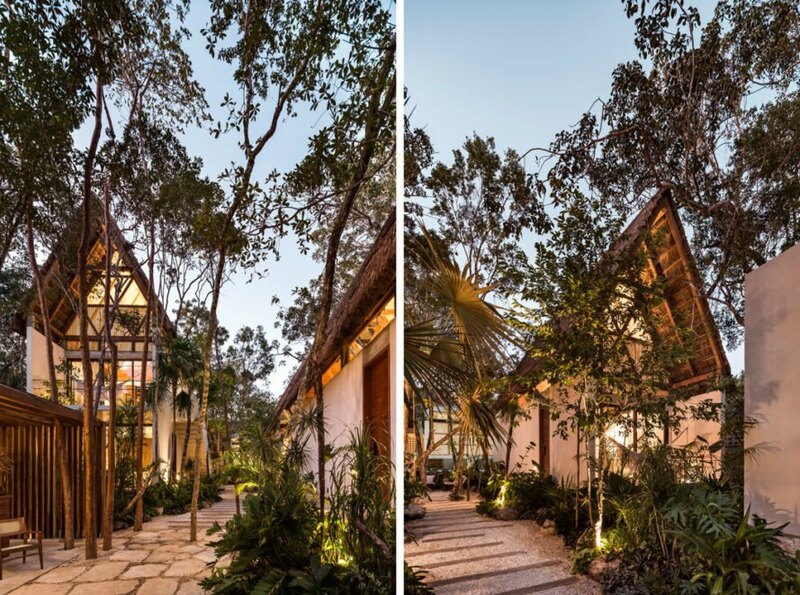 Designed to mirror the Tulum environment, Jungle Keva features five beautiful lodges with expansive walls of glass that pull views of the trees into the interiors. 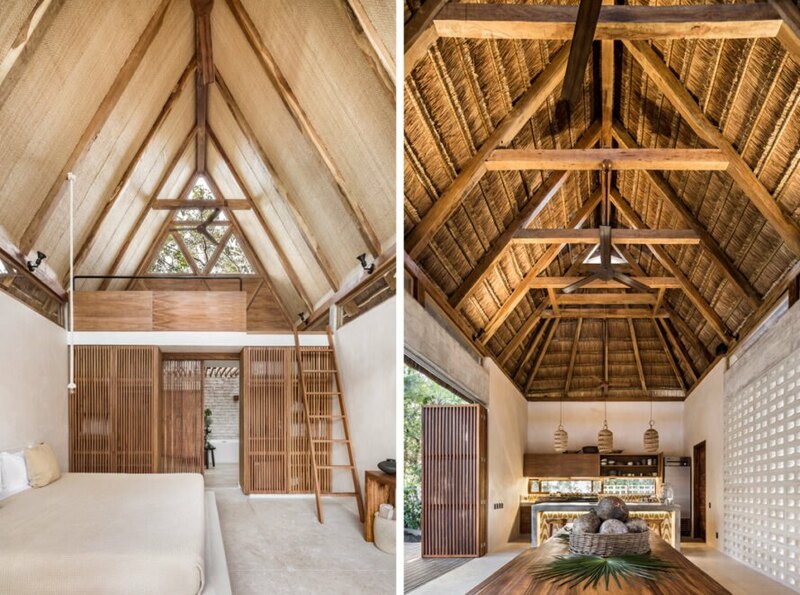 Each lodge includes double-height, open-plan spaces flooded with natural light. The communal areas and shared amenities are located in a building at the north of the property. The hotel draws water from an on-site well and includes a newly built, state-of-the-art septic treatment system. The five lodges vary in size, from 505 square feet to 600 square feet, and accommodate three to four guests. All accommodations include a private terrace with a hammock overlooking the jungle and an indoor-outdoor bathroom as well as Wi-Fi, natural bamboo sheets and organic toiletries. Guests also have access to on-site yoga classes, a pool, a restaurant and excursion activities. 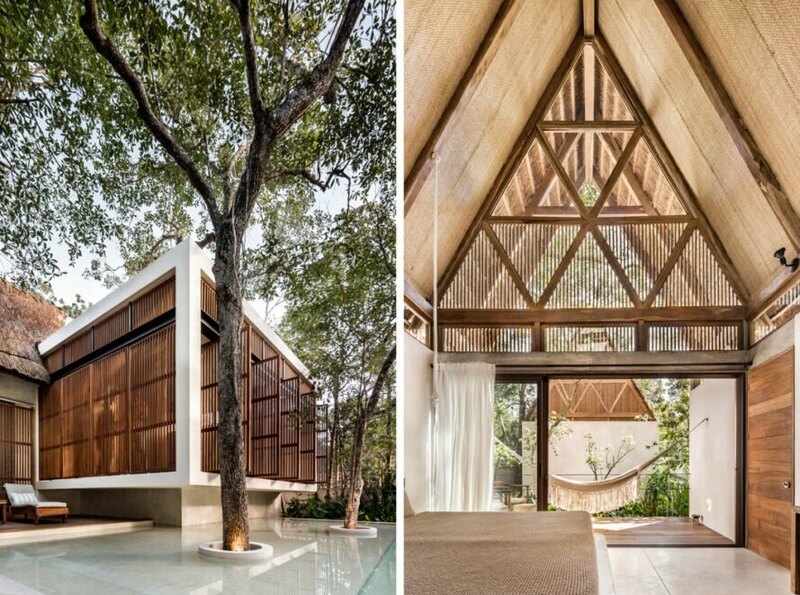 The structures are built with low-maintenance and natural finishes that lend the buildings a sense of warmth. 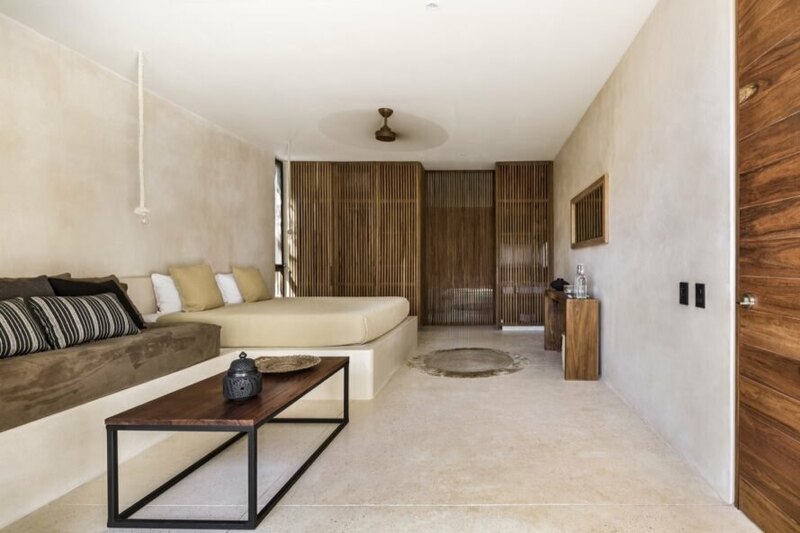 The distinctive earthy color found throughout the hotel is achieved with the “chum” finish, a Mayan stucco local to the region that’s made from tree resin. 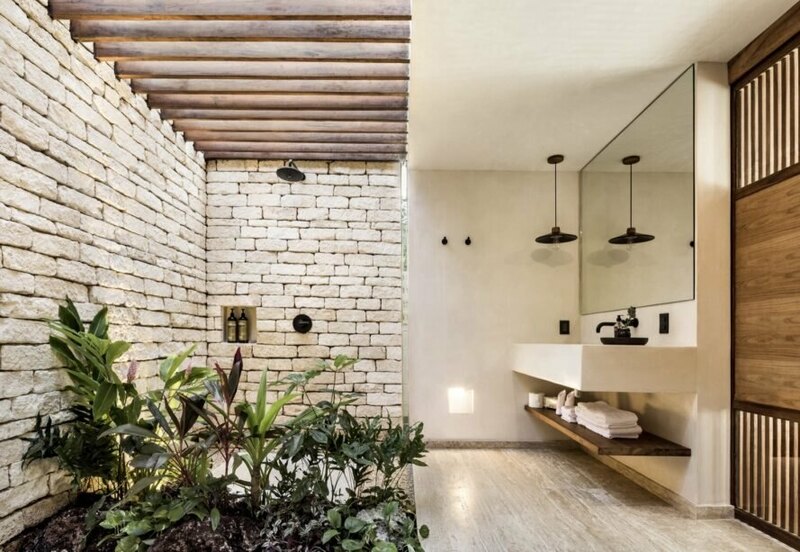 Jaquestudio designed this boutique hotel in Tulum, Mexico. The leafy resort was sited to preserve most of the native plants. Locally sourced, natural materials dominate the materials palette. The hotel focuses on minimal use of plastics. The five lodges range from 505 to 600 square feet. Low-maintenance, natural finishes and materials bring warmth to the project. Each lodge offers an indoor-outdoor bathroom. Organic toiletries are also included. 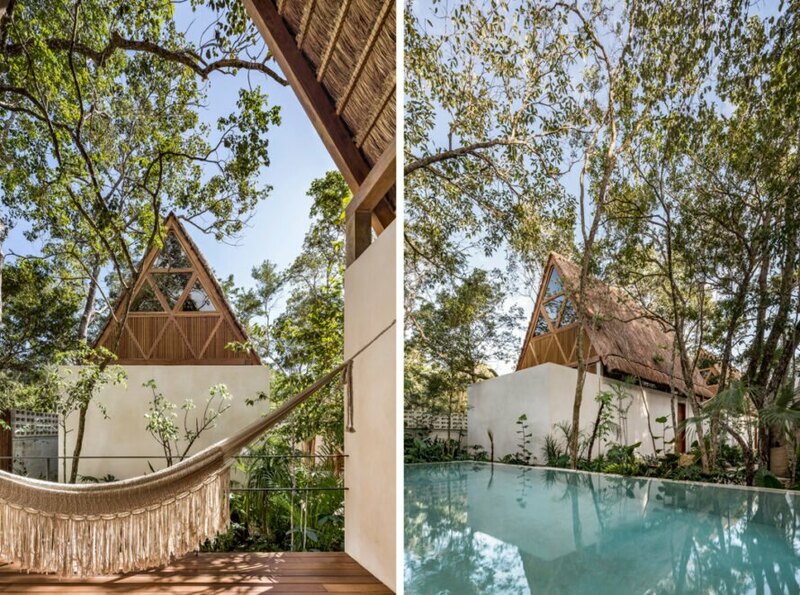 Hammocks allow guests to relax outside in the warm air. The hotel complements the surrounding jungle.